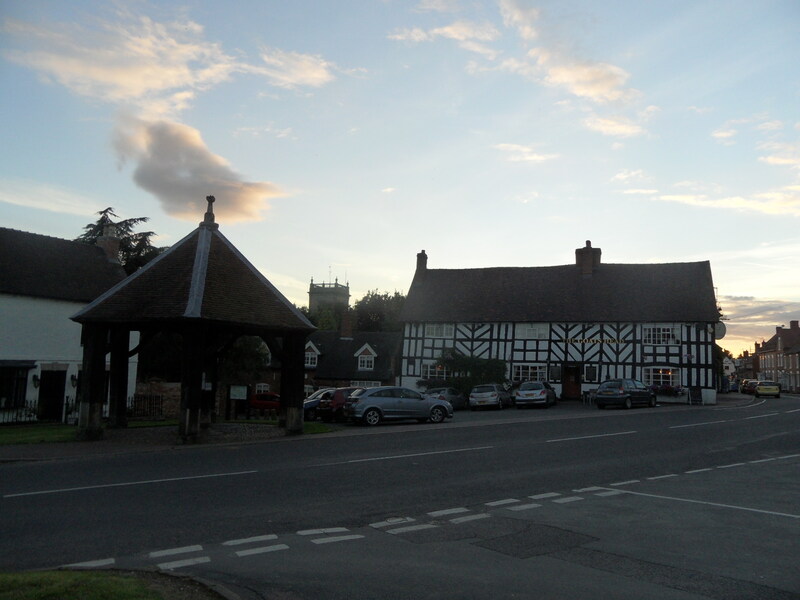 The Abbots Bromley Horn Dance takes place each year on Wakes Monday (the first Monday following the first Sunday after 4th September), which means that this year it will be on 10th September. As far as I can gather, the horn dance is one of those traditions where no-one is quite sure what it’s all about. There are six dancers carrying reindeer antlers, a fool, a hobby horse, Maid Marian, a boy with a bow and arrow, an accordion player & a triangle player. 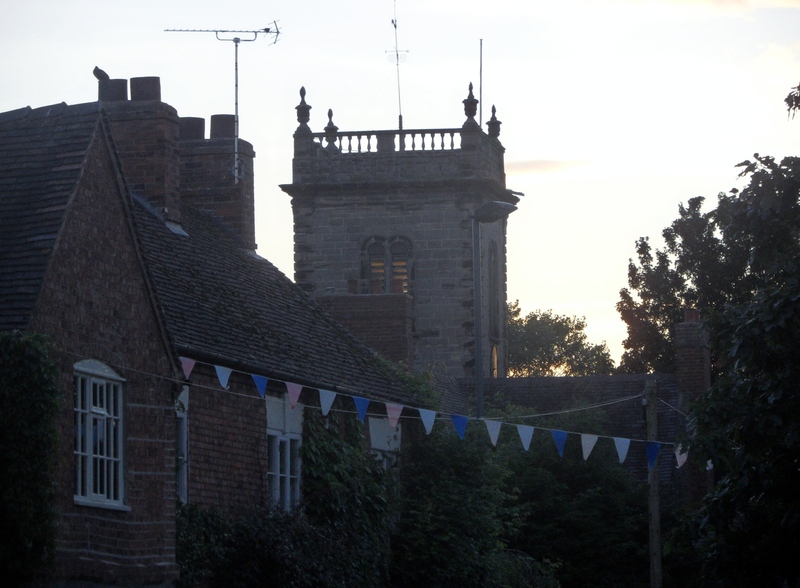 The horns are collected from the church of St Nicholas at 8am and are returned 12 hours later after the participants have danced around the village and out to Blithfield Hall. According to the horn dance of Abbots Bromley website, when one of the horns was damaged in 1976, a piece was sent to be carbon dated. It was found to date back to 1065 (plus or minus 80 years) although the general consensus is that this doesn’t really help to date the dance itself. 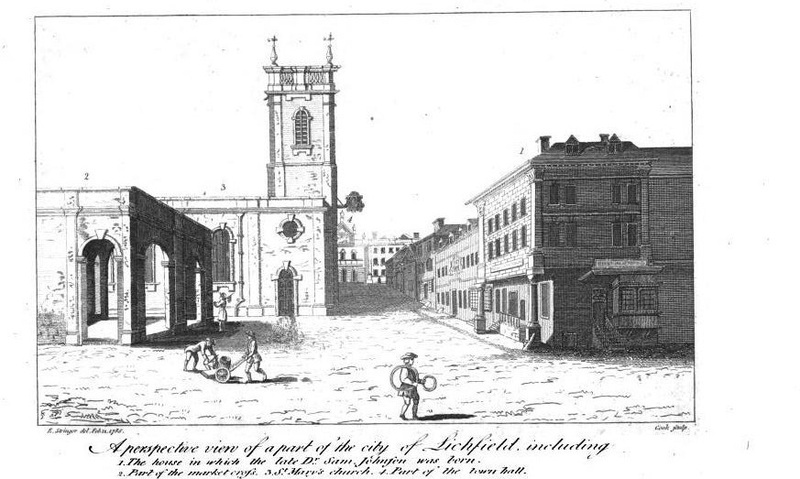 (Lichfield fares a little better. In Mr Carver’s opinion, ‘It is a long, straggling place but has some handsome houses’). 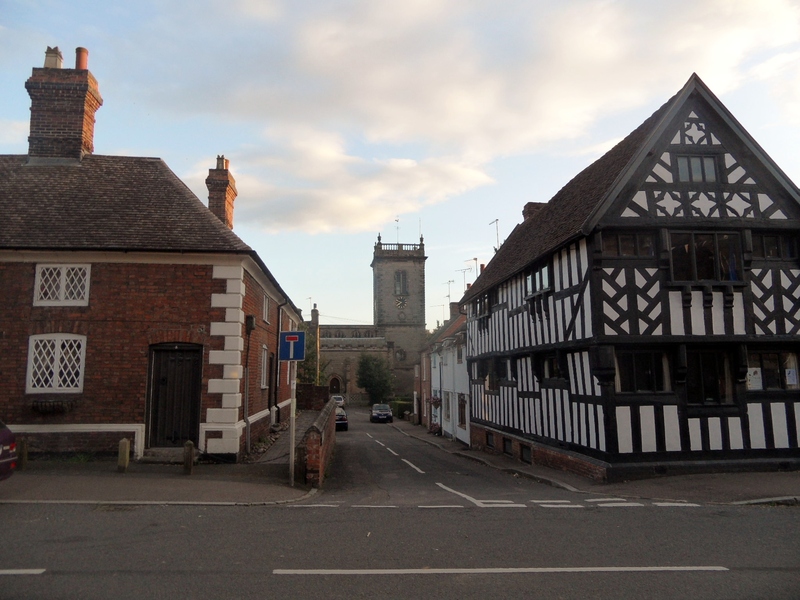 Walking through the village, to my 21st century eyes, practically every building looks worthy of note. 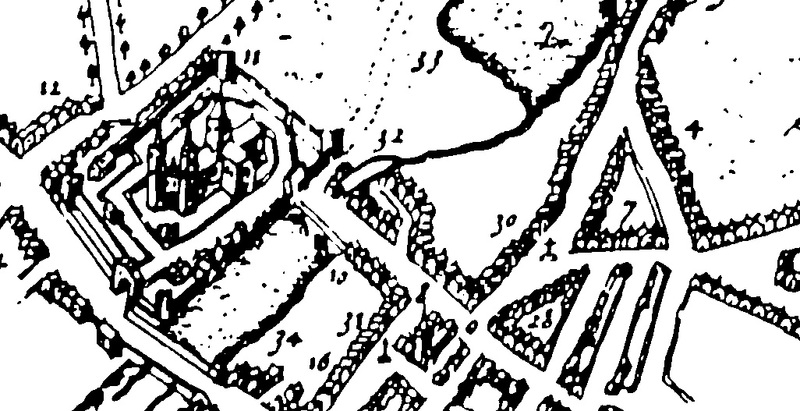 Amongst many others, there’s the Butter Cross (or Burger Cross as a practical joker would have it in 2002), the Goat’s Head Inn (which is thought to date back to the early 1600s, with possibly even older cellars and of course, a secret passage story!) 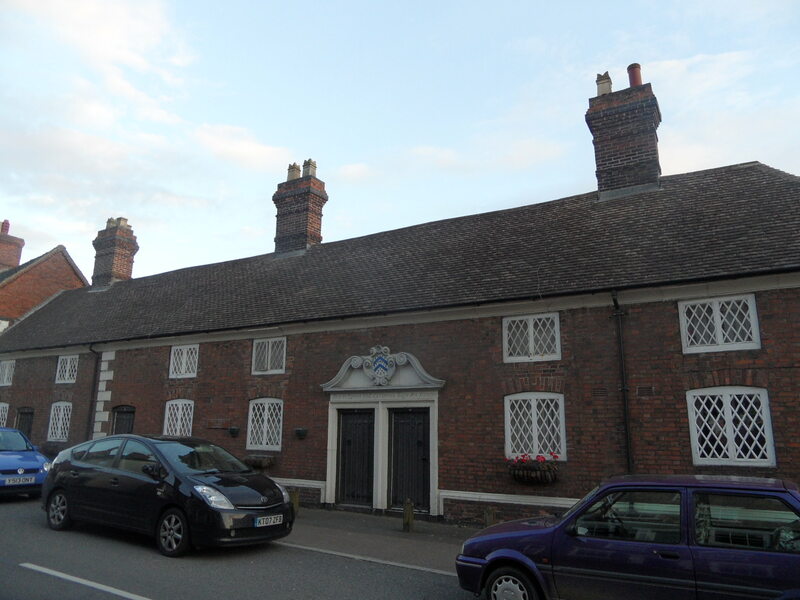 and Almshouses (above the doors are the Bagot family arms and the inscription Deo et Igenis DDD Lamberius Bagot Arm Anno 1705). View of St Nicholas, where the horns are displayed throughout the year. A couple of years ago the BBC made a programme about folk dancing in England and you can see the clip about the horn dance here. There are also some photographs of the tradition taking place in the 1930s here on the Staffordshire Past Track website. I believe that the horns never leave the parish boundary (when not in use they are stored in the church of St Nicholas) although the dance can be performed elsewhere (another set of antlers is used on these occasions). I’ve also just discovered that this year the third annual Abbots Bromliad will take place in California, where they are hoping to beat their own record for most people dancing the horn dance at once (144 in 2010). You can even order your own set of acrylic antlers for $20 to help you feel the part! Hmmm, I wonder what the postage & packaging would be to get a pair sent to Lichfield….and would they get here in time to wear on the 10th September? Seriously, we’re lucky to live so near to a place where one of the country’s best known (and possibly one of the oldest) traditions takes place and I really must make an effort to go this year to see it for myself. 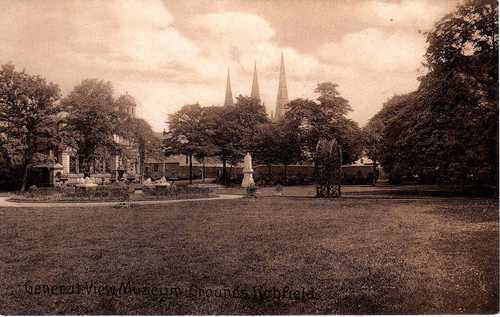 Following his release from Derby Gaol, Fox was walking with friends when he noticed the three spires of Lichfield Cathedral in the distance.Leaving his companions behind, he headed towards the City.When he was within a mile of Lichfield, he was commanded by God to remove his shoes.Leaving the footwear with some startled shepherds, he carried on into the City, where God once again spoke to him, telling him to “Cry woe unto the bloody City of Lichfield”. Fox made his way into the bustling Market Place, where he did exactly that.He continued to wander the streets of Lichfield, crying out the phrase over and over again.Whilst doing this, Fox had a vision that there was a channel of blood running through the streets and the market place appeared to him like a pool of blood.Eventually, he returned to the shepherds for his shoes, but found that the fire of the Lord was still in his feet where it remained until he washed them. 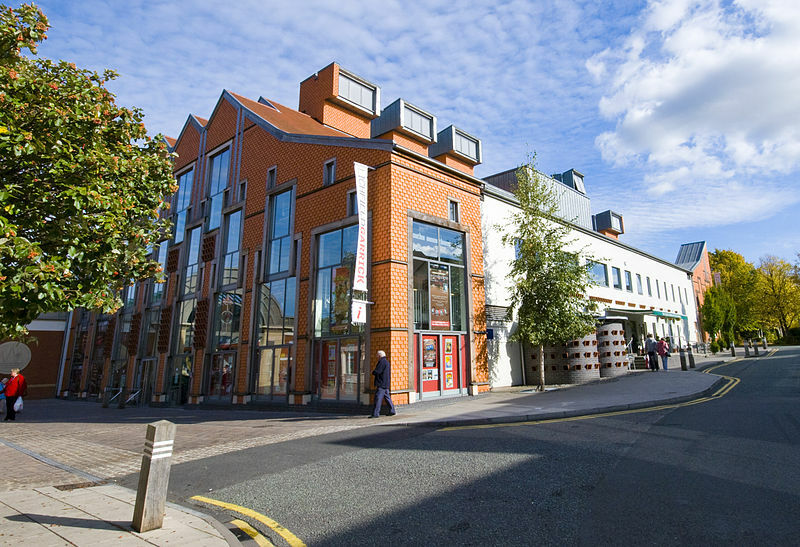 The reaction of the people of Lichfield is interesting. 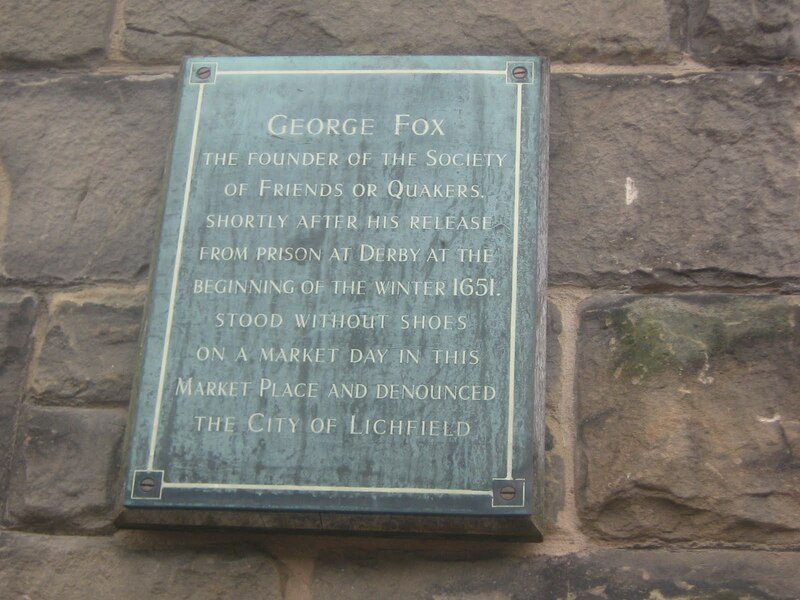 Rather than be frightened or hostile towards this strange man ranting in their midst, they seem to have been concerned.Fox says “friendly people came to me and said, ‘Alack George, where are thy shoes?'”. It’s not recorded but they may have asked if he’d like a nice cup of tea too! Some people believe that Fox’s behaviour was caused by a fragile mental state, having been recently released from prison. 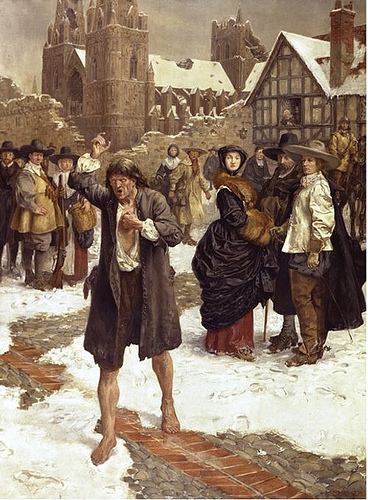 However, Charles Haddon Spurgeon had a theory that it was some kind of PR stunt – no one would take notice of yet another dull sermon, but few could fail to ignore the dramatic ravings of a barefooted man in the snowy market place. Explaining the events of that day, Fox claimed that God had wished him to preserve the memory of the thousand Christian Martyrs slaughtered by the Romans at Lichfield in the time of the Emperor Diocletian. It had been their blood that had filled the streets and market place during his vision. 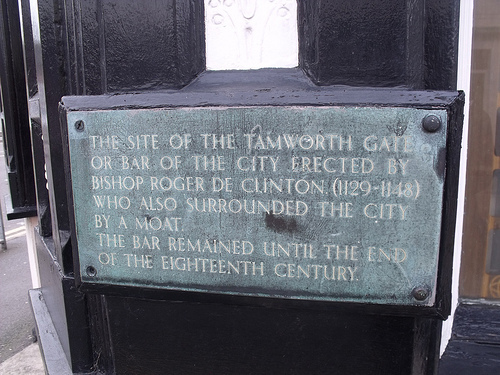 It’s been suggested that the martyrs Fox actually had in mind were those burnt in the Market Place for heresy. (2) Why would he claim otherwise? Perhaps, on reflection, he thought better of associating himself so publicly with heretics, having been so recently imprisoned for the same crime.